Tracey Trewin, Technical Assistant to Technical Fellow Mohsen Agsen, talks to Charles and Ritzy about how she’s always sought out hard challenges, whether it was majoring in math or helping lead the Xbox 360 team to launch. A 13 year Microsoft veteran, the former Hawaiian has lead 2 incubation teams to ship as a Product Unit Manager during her tenure at the firm. Prior to joining Microsoft, Tracey ran her own business for 12 years building customer business solutions for businesses. Tracey will be attending the PDC this year, so make sure to find her. She’ll be attending the Women in Technology reception on October 29. 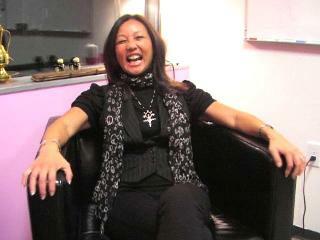 Interesting interview: Tracey is very nice and interesting person. and he maintains an interesting blog, too. So it would be great to have an interview with Larry, ranging from technical things to the history of Windows development (I read that he is a Microsoft "veteran"). And keep up this good interviewing job.